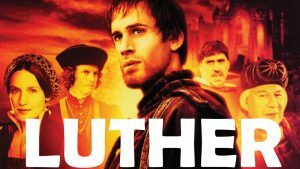 Released in 2005, LUTHER the movie has special significance for Lutheran schools. Martin Luther valued education and was vehement in advocating for the education of both boys and girls. Education for Luther was important not only to read and study God’s word, but also to equip young people for service in community. Since the time of Luther the churches that have borne his name have also always valued education. Whether it was Papua New Guinea, Indonesia, Germany, South Africa, Brazil, Zimbabwe, USA or Australia, wherever Lutherans went they established schools. Thus in Australia the first Lutheran school was established in Adelaide on the banks of the River Torrens in 1839. When Lutheran schools pursue excellence in education they follow in the tradition of the university teacher Martin Luther. LEA schools are also influenced by his teachings as they provide an education in the Lutheran tradition. LUTHER the movie is a wonderful opportunity to reflect again on our heritage and why we operate Lutheran schools.